Secret Life Records and Marini’s on 57 recently released a new compilation put together by Jose Padilla. Featuring tracks old and new, the mix showcases the DJ’s eclectic style and at the same time offering up exactly the sort of musical experience you can expect at Marini’s, a lounge, bar and restaurant that is Kuala Lumpur’s answer to Café Del Mar. Marini’s on 57 celebrated the second anniversary of its Sunset Hours recently with a special one night only performance by Jose and patrons were treated to cocktails and champagne accompanied with a sensual array of music. “With ‘Sunset Hours Vol. One’, and the realisation of my dreams to work with José, I hope to share with countless others, the amazing and original creations of Sunset Hours, elevating them to a whole new high,” said Marini’s founder Modesto. Moving to Ibiza in the ‘70s, it was during the late-80s and early-90s that Spanish born DJ Jose built his reputation, most notably at a certain sunset bar located at Sant Antoni de Portmany. 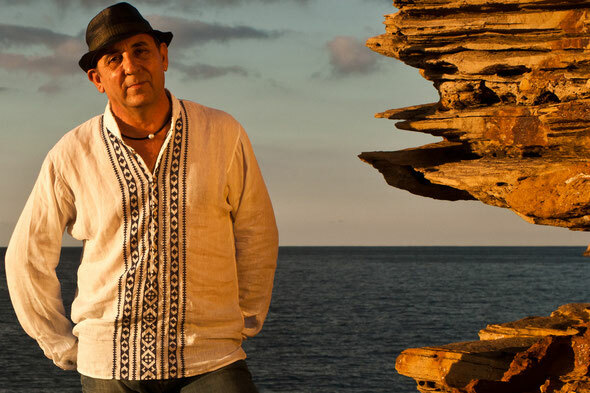 The now world famous Café Del Mar became his base for most of the 1990s and it was here that he developed a unique sound track to complement the stunning sunset on offer from its shore location in the bay of Caló des Moro in San Antonio. From then on, his skills have been much in demand around the world so this new compilation is a great chance to get inside his record bag. The mix, which is aimed at early evening sessions, kicks of in deep and soupy style with Trevor Deep JR’s blissful bit of piano laced deep house. From there, the moods and grooves slowly unfold through guitar licked and sun kissed beats from Begin Optical; a deep disco vibe comes courtesy of a great Asphodells remix of Baris K and then one of Jose’s own tunes marks a change in pace, when drums drive the mix along. It is then onwards and upwards, through more lush and late night piano house, instrument rich and super slow beats, sumptuous sunset vibes and romantic offerings from the likes of Andras Fox.